Low-carb foods fall into several categories that include non-starchy vegetables, fruits, protein-rich foods, and products with monounsaturated fats. Eating a diet that combines foods from these groups has many benefits. Low carb nutrition helps reduce fat deposits, improves insulin and cholesterol levels, reduces blood pressure, and helps treat inflammations. The group of non-starchy vegetables includes beets, baby corn, and artichoke. Non-starchy vegetables have low glycemic index values and are low in carbohydrates. Leafy green vegetables are known as a free food and dieters can consume them as often as they want. Leafy greens include turnip greens, iceberg lettuce, and romaine lettuce, which contain high amounts of vitamin A. The best vegetables to include in your menu are those rich in phyto-nutrients and fiber. Most low carb vegetables also contain antioxidants and essential minerals. A research team at the Tufts University School of Medicine has found out that vegetables with the most antioxidants include cabbage, kale, and broccoli. Low carb fruits form a second category, and most diets encourage eating a variety of fruits such as cranberries and raspberries. It is important to eat fruits with a low sugar content or low GI fruits, depending on the diet of choice. Plums, cherries, and peaches are low GI fruits. Fruits low in carbohydrate and sugar content include rhubarb, raspberries, and blueberries. Avoid fruits that contain pesticides. Such fruits are strawberries, grapes, and nectarines. Fish, meat, and eggs form another category of low-carb foods. They contain protein and help lower blood pressure and lose weight. The list of protein-rich foods includes meats such as salmon, turkey, and chicken. Nuts, soy products, and eggs are also good sources of protein. Studies at the Harvard University have shown that plant protein is a healthier choice in the long term. Sunflower seeds, pumpkin seeds, and almonds, for example, contain healthy fats and proteins. Almonds make for a nutritious snack, and you can have them spicy, roasted, or raw. Macadamias are expensive but nutritious, making them a good addition to a low carb diet. Macadamias are also rich in dietary fiber and minerals such as copper and potassium. They contain no trans fatty acids or cholesterol and are an excellent source of amino acids and other oxidants. Macadamias are rich in monounsaturated fat and protein and have only 4 grams of carbohydrate per 1-ounce serving. Avocados are also a good source of protein and are loaded with powerful antioxidants and essential vitamins. There are plenty of recipes with avocado, including guacamole dip, avocado salsa, and tomatillo guacamole. Foods that contain fats are an important component of low carb diets. Eating foods rich in fat helps eliminate cravings and keeps dieters satisfied. You can get fat from cheese, eggs, meat, cream, and nuts. Experts recommend eating foods that contain omega 3 fatty acids such as flaxseed, nuts, and olive oil. Omega 3 is a type of fatty acid that reduces the risk of developing heart disease. According to the American Heart Association, adults should eat fish meat two or more times a week. The AHA recommends eating herring, mackerel, salmon, and albacore tuna. Foods rich in omega 3 fatty acids are a good choice when following a low carb diet, and they lower the risk for arthritis, cancer, and other chronic conditions. A balanced diet should include products from all food groups. It is a good idea to diversify your menu and include tasty and interesting meals. Learn to cook lamb, fish, shellfish, chicken, vegetarian options, dips, and sauces. This will help prevent boredom. What is most important, choose a diet that suits you best (Atkins diet, South Beach diet, Paleo diet, or any other diet of your choice). Experts recommend choosing a diet that is the best fit for your lifestyle, preferences, and habits. 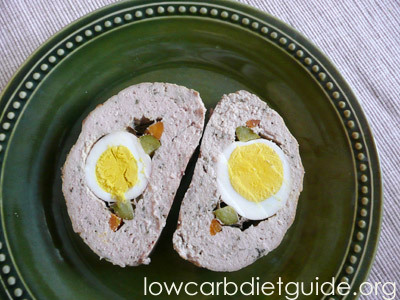 Another option is to make your own low carb diet in such a way that you benefit the most and stick to it.